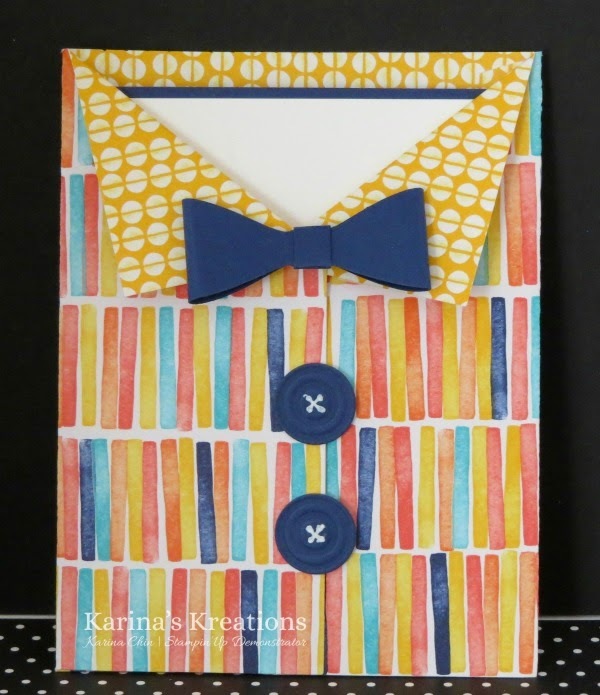 Karina's Kreations: Birthday Bash Shirt Card! I have seen a few of these cards on the internet and decided to try one. It's made with the Mini Treat Bag Thinlits die, bow builder punch and the little pieces embosslits. 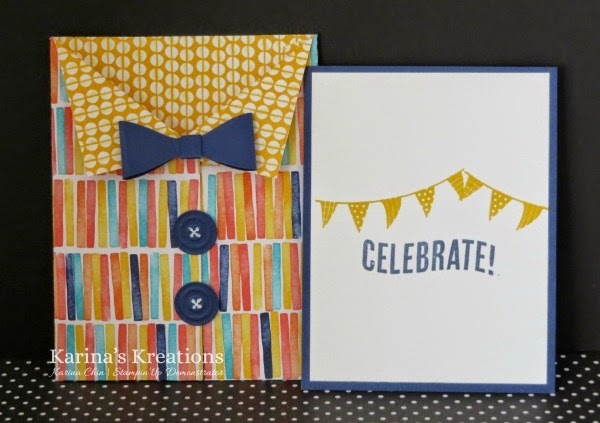 There's free shipping all this week if you need some fun stamping supplies. Use this hostess code MRV7U997 and I'll enter your name in for a hostess benefits draw.